Getty Images. Illustration by Laura Goode. Nobody wants to see a friend stranded in a hallway after knee surgery because no hospital beds are available. Or children shunted into trailers because of overstuffed school buildings. Or police officers priced out of living in Arlington because there aren’t any homes they can afford. But when it comes time to address these shortfalls, the solutions are seldom easy. 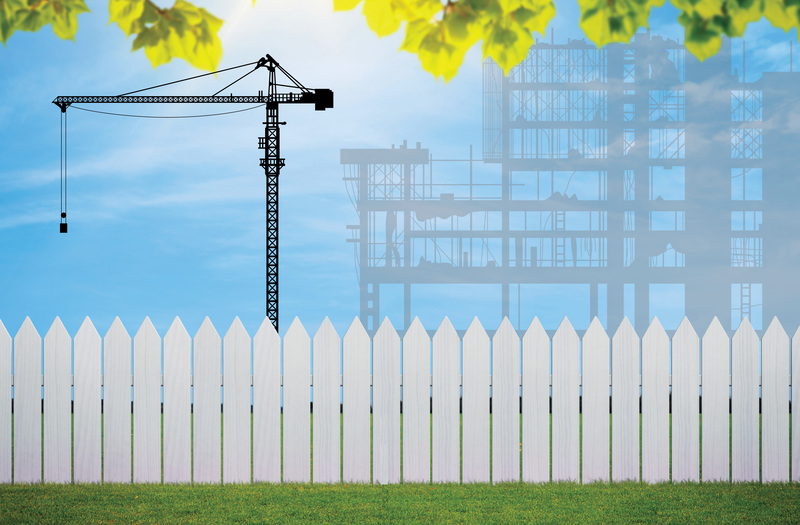 Negotiations over buildable space often pit businesses, nonprofits and elected officials trying to balance countywide needs against neighbors who are worried about the impact on their lives and on the biggest investment they have—their homes. As Arlington grows, so does its need for schools and hospital beds, recreational facilities and housing at all price points. Increasingly that means adding density, building vertically and encroaching on the comfortable buffer that has long separated residential neighborhoods from commercial districts. It’s the only option in a 26-square-mile county with little undeveloped land left. And yet, every effort to shoehorn in a new project seems to set off concerns about parking, traffic, noise, crime, aesthetics and negative effects on property values. As land grows ever more scarce, the “Arlington Way”—the county’s long-standing tradition of giving every stakeholder a voice on big projects—has grown more heated, time-consuming and expensive. Residents may agree that new facilities are needed, but take issue with the design or the location. And ironing out the specifics can be arduous.